Presidential hopeful Ted Cruz is glad he isn't a part of the nation's political elite. "You may have heard I'm not exactly the most popular person with congressional leadership," the cheerful Texas senator said Friday to a group of conservative business leaders. Cruz, the first major Republican to officially declare his candidacy for the White House, said that because of his role in the 2013 government shutdown over Obamacare he wasn't well-liked among the party's heads. And as a result, campaign donations dried up. "Checks from Washington, D.C., went to zero because that's the way they impose discipline," he said. "I have been there. It is broken." Ted Cruz: "My music tastes changed on 9/11"
But the Texan firebrand isn't letting that stop him, and now he's trying to use it to his campaign's advantage. 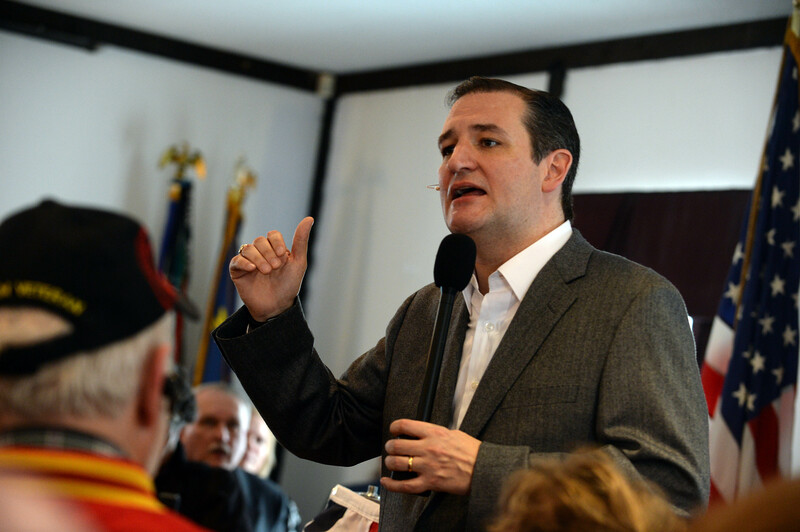 "The New York Times said Cruz cannot win because he is hated by the Washington elites," the Republican legislator told a cheering crowd at the New Hampshire VFW post. "I gotta admit, I wanted to Xerox that and mail it to all 300 million people." Cruz was referring to a Times story that ran in the lead-up to his presidential campaign announcement at Liberty University. "Why Ted Cruz Is Such a Long Shot" enumerated the reasons why, despite currying favor among the tea party, the Texas senator was hardly a front-runner for the Republican nomination. The crux of it: "Mr. Cruz has done nothing to endear himself to the elites." Insider support is the "single most important determinant of the outcome of the nomination," according to the newspaper's data-driven blog The Upshot. It's a reputation that precedes the senator. Since his breakout onto the national stage, Foreign Policy magazine even dubbed him as the "most hated man in the Senate." And just a few days into his official candidacy, the lawmaker is already dogged by questions of his birthplace, his health insurance policies, even his music tastes. But after reportedly raising $1 million after his first full day of campaigning, the polarizing Republican plots a path full-steam ahead. "I am amazingly, powerfully, profoundly optimistic," Cruz went on to say. "I'm optimistic because of each of you -- the men and women in this room who will not let freedom go."